Attractive evergreen, silvery foliaged tree. Highly drought and frost tolerant. Long living. The olive is valued for fruit and oil. Requires good drainage and water, particularly during flowering, fruit set and as f ruit develops. In cooler climates, site near north or west heat retaining brick wall. Feed with citrus food Spring and Autumn. 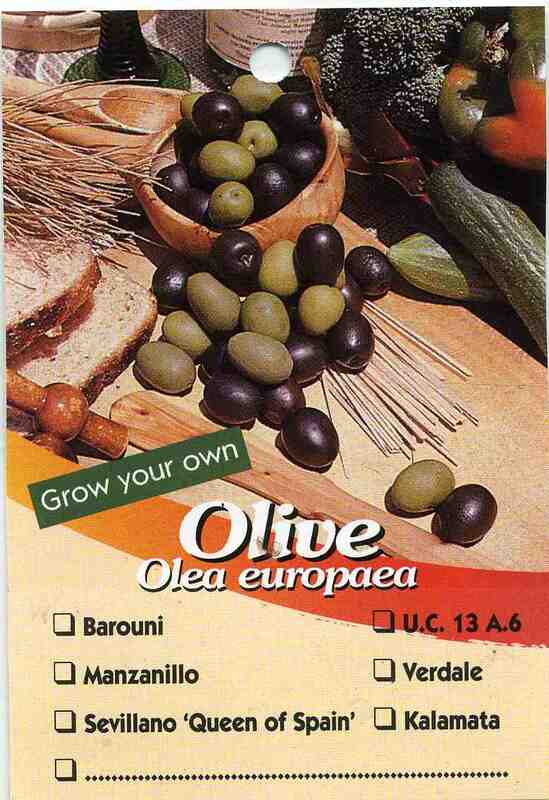 For pickling, harvest when light green or later when black. The hole for planting should be twice the area of the root ball and 8-10cm deeper which is back filled to give roots an easy start. 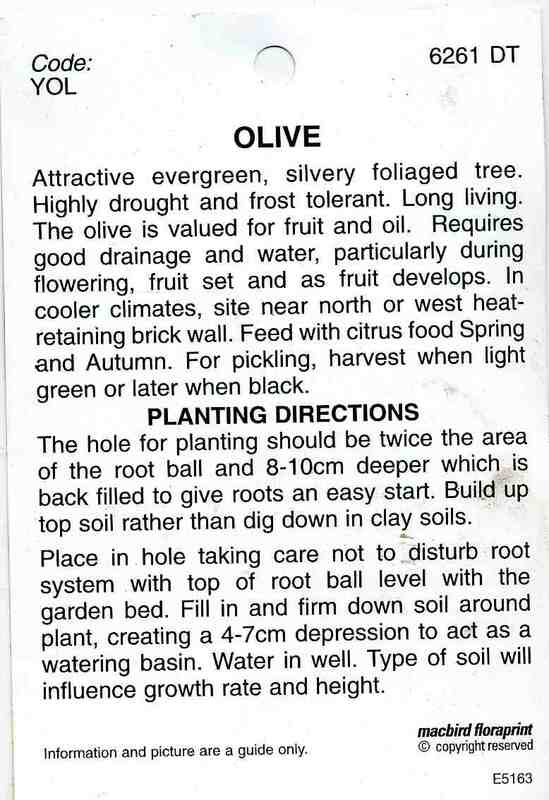 Buildup top soil rather than dig down in clay soils. .
Place in hole taking care not to _disturb root system with top of root ball level with the garden bed. 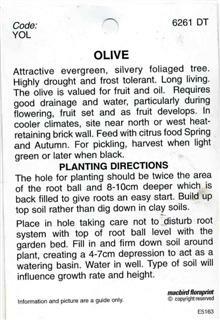 Fill in and firm down soil around plant, creating a 4-7cm depression to act as a watering basin. Water in well. Type of soil will influence growth rate and height.